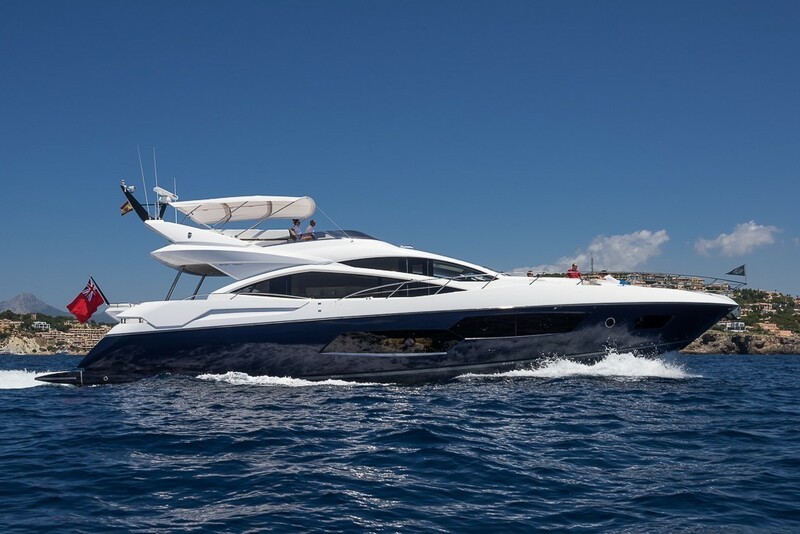 Seawater, built in 2015 by the renowned Shipyard Sunseeker, is an amazing yacht with all the amenities one can wish for. Fitted with a spacious flybridge, Seawater combines all the looks and moods of a sporty yacht and a comfortable cruising yacht – top speed, zero speed stabilizers, elegant and modern interior design and a light filled interior thanks to its large windows. Her home port is Mallorca on the Balearic Islands, but she is also available to charter in Ibiza and Menorca. Seawater accommodates up to 12 guests during the day and 8 guests over night in her extremely trendy and luxurious cabins. She offers a wide range of water toys and is definitely a great option for families and friends. Welcoming you on board will be a Captain, Cook/Stew and a Deckhand.